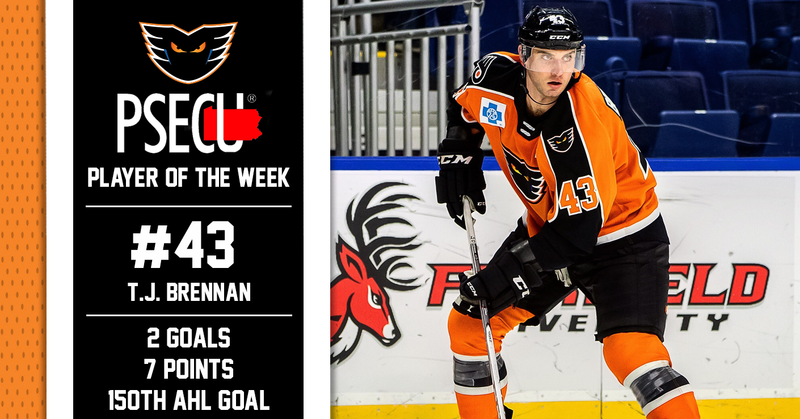 Lehigh Valley, Pa. — With two goals, five assists and seven total points in three games this past weekend, Lehigh Valley Phantoms defenseman T.J. Brennan has been named the PSECU Player of the Week for the first time this season. 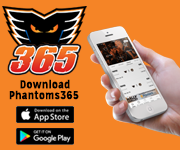 The Phantoms played their first three-in-three of 2018-19 this past weekend facing off against the rival Wilkes-Barre/Scranton Penguins in a home-and-home set followed by a Sunday afternoon game against the Bridgeport Sound Tigers. 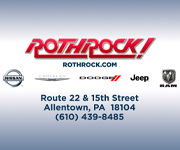 On Friday night, with Lehigh Valley trailing 3-2 at the end of two periods inside of PPL Center, Brennan netted his first goal of the weekend at the 2:36 mark of the third period while on the power play. 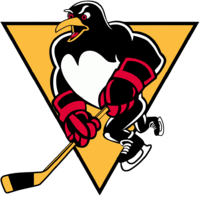 The third period tally marked Brennan’s 150th career goal in the AHL, which placed him just 17 goals shy of breaking the current record for most goals by an AHL defenseman held by former Philadelphia Phantom John Slaney (166). 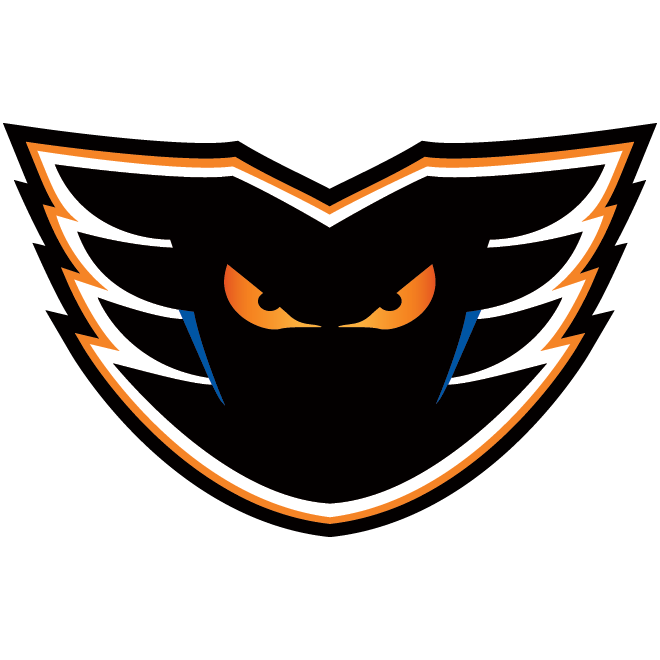 A little over a minute later, on another Phantoms power play, Brennan assisted on Greg Carey’s fourth goal of the season to give Lehigh Valley their first lead of the game at 4-3. 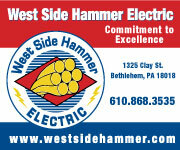 Wilkes-Barre/Scranton went on to tally two more goals in the third en route to a 5-4 victory over the Phantoms. 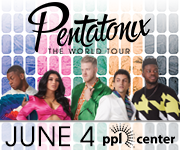 The two rivals got back on the ice, this time at Mohegan Sun Arena at Casey Plaza, on Saturday night for their second of twelve total meetings this season. 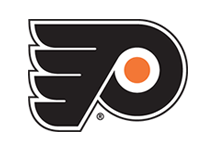 Brennan would collect another three assists in the contest as the Phantoms exacted revenge against the Penguins, winning 6-3. On Sunday, the black and orange traveled to Connecticut for an afternoon game against the Sound Tigers. Brennan went back to work, tallying another assist on Phil Varone’s third goal of the season and later netted a late game-tying goal with just 2:07 remaining in the third that sent the two teams to overtime. 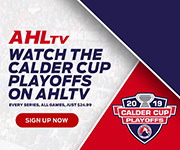 Despite pushing the game into extra time, and eventually a shootout, Lehigh Valley would only secure a single standings point as they dropped the contest 4-3. All told, Brennan collected seven total points (2G-5A) over the weekend with a plus-one rating in three games. 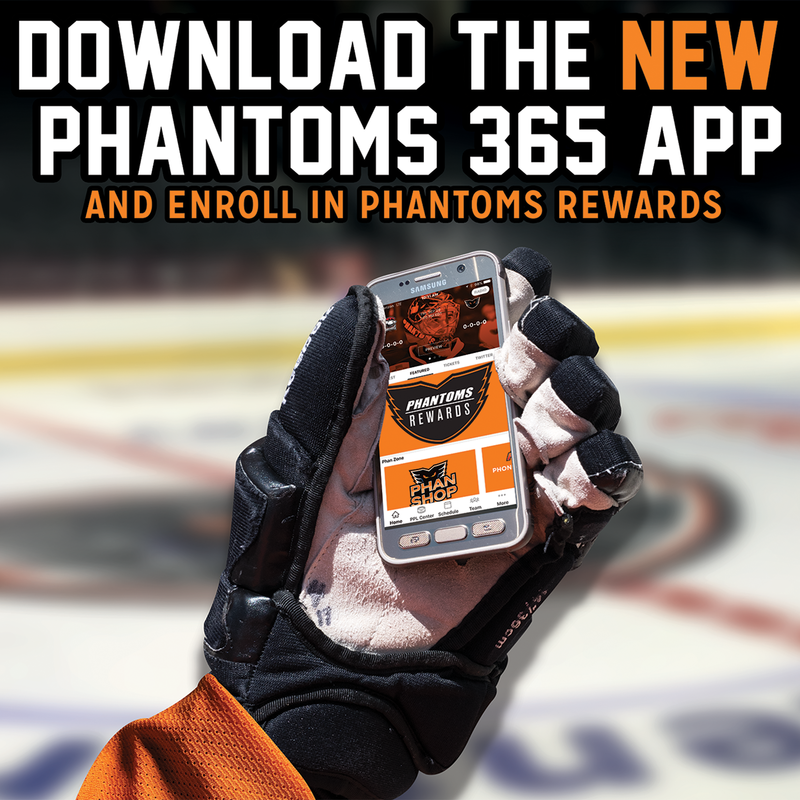 He currently ranks fifth in the AHL — and first on the Phantoms roster — among all players with 10 points (3G-7A) in just six games, producing at a rate of 1.67 points per game. With Sunday’s goal added to Brennan’s already impressive career stats, he now sits just 16 goals away from breaking the record for most goals by an AHL defenseman.